At any rate, at the most recent vegan potluck, I learned that Ciao Thyme is indeed vegan-friendly, and then a friend of mine offered to treat me to lunch there just last Thursday and I jumped at the chance to go. And I truly I cannot tell you how impressed I was. Not only is the cafe at Ciao Thyme vegan-friendly; they are everyone-friendly, be you omnivorous, vegetarian, gluten-free, vegan, or what-have-you! I have often said the most talented chefs and sincere restaurant owners are those who want to share the gift of food with everyone, no matter who you are or what your dietary needs may be. And Ciao Thyme fits that description perfectly. 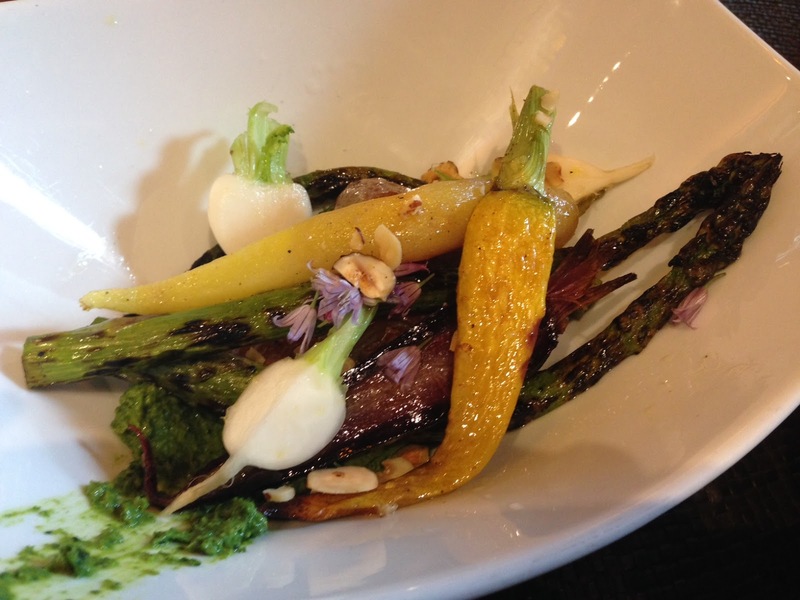 If you are interested in checking out their menu, you may notice a number of vegetarian items that can be made vegan. In fact, it even says in several places on the menu to ask about vegan options. After a bit of deliberation, I selected the vegan version of the eggplant caprese and I cannot adequately convey with words how amazingly delicious this dish was. The tomatoes had that garden-fresh flavor you can't get from grocery-store tomatoes, and the eggplant was cooked PERFECTLY. 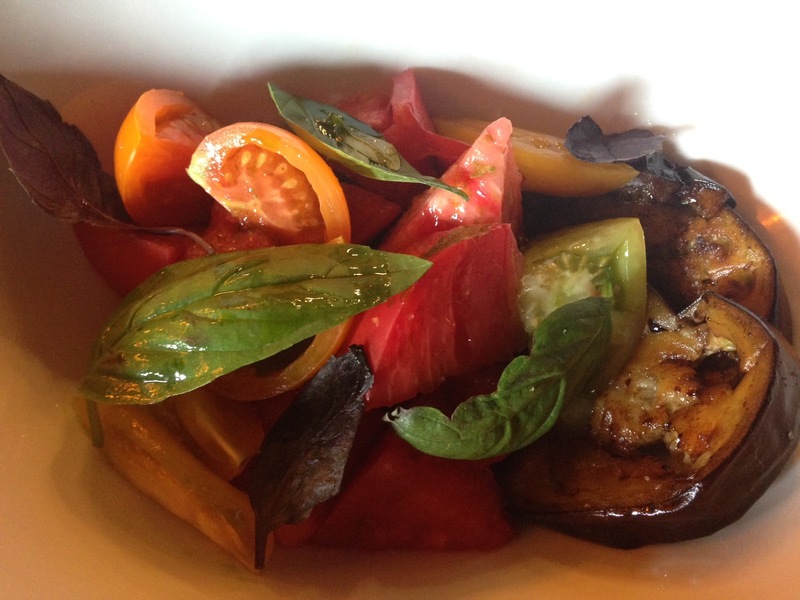 Everything was so fresh and so tasty, and the balsamic vinaigrette inspired so many complementary flavors. Beautifully presented, the food was as delicious to eat as it was gorgeous to look at. It was the kind of meal that left me almost speechless with every bite; the experience of every taste was so satisfying and easy to savor. 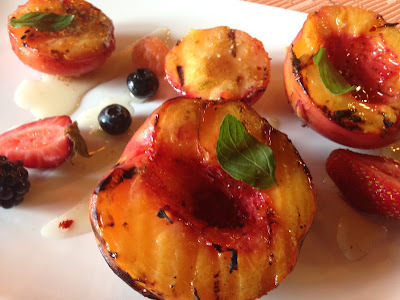 I also shared the grilled stone fruit salad for dessert, and while technically not completely vegan because it did have drizzled honey, I am still including it in this post because I bet you could request it without the honey and it would still be sweet, juicy, and amazing. I am now a HUGE fan of Ciao Thyme, as are so many here in Bellingham. I finally see what all the buzz is about and I am so glad to add another unique, fantastic, and vegan-friendly restaurant to my ever-evolving list of local restaurants. Thank you, Ciao Thyme for having such delectable vegan options! And a special thank you to Ali and others who recommended this place, and to my friend who treated me to such a memorable and wonderful meal. P.S. It was nice to run into you at Temple Bar last week! I love it there now! Thanks for this review! I will be checking out Ciao Thyme soon for vegan yumminess. On a side note, I'm surprised you included/ate a dessert with honey in it. I definitely appreciate the heads up about requesting it without honey, and am in no way shape or form trying to shame you for consuming honey (to each their own!) but it makes me a little nervous that your reviews of other vegan eats in Bellingham (and beyond) might actually contain non-vegan ingredients that you include in your diet but other vegans may not. I suppose the best rule of thumb is to always check the ingredients with the waitstaff (which I always do) to ensure it is truly vegan. I'm a big fan of your blog and appreciate the vegan awareness you are bringing to our amazing community.